I have never never eaten anything so vile. For my last dinner in Reykjavik, my Greenland expedition buddies and I decided to go to popular Cafe Loki, serving home traditional Icelandic food. 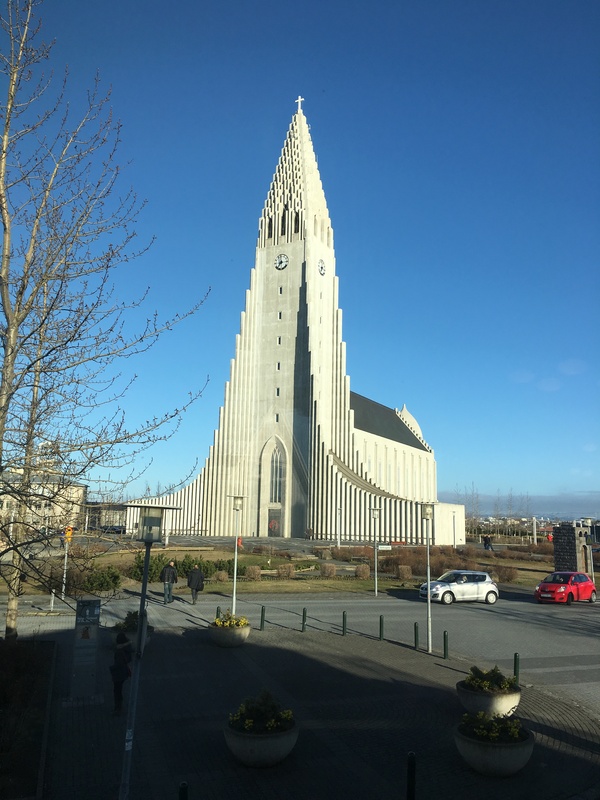 We made reservations and were given the corner table with view of the Lutheran church, Hallgrímskirkja. 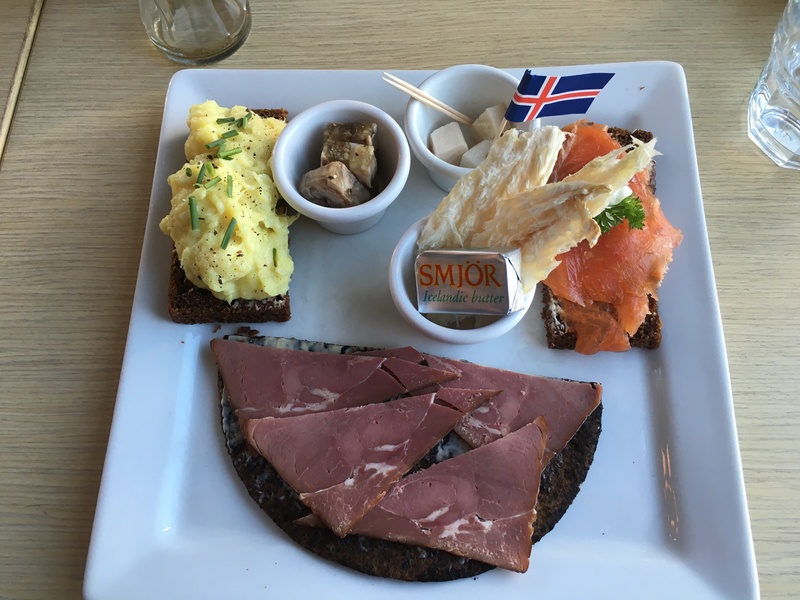 I decided to order Icelandic Plate II which consists of rye bread topped with smoked trout, rye bread topped with mashed fish, rye flatbread topped with cured lamb, dried fish and the infamous fermented shark, hákarl. I also requested a couple bites of sheep-head jelly to try, which they accommodated. I tried the sheep-head jelly first, and it was delicious! I tried not to examine too closely the chopped sheep-head parts though. Second thing I tried was the fermented shark. They serve it in small cubes with Icelandic flag toothpicks. I smelled it first and already I tried not to gag. It smelled worse than rotten eggs, a strong sulfuric smell. My companions egged me on (damn ego!) and I popped it into my mouth. Whatever chemical they use in this thing went straight to sting the top of my mouth, noise, and the back of my throat. Mix that sensation and flavors, combined with the smell, I had to try hard not spit it out. It was chewy and I had to keep it in my mouth a couple minutes before I could swallow it. Someone forgot to mention that a brennivín (Icelandic traditional spirit) would go nicely to chase down that bloody shark. The moment I swallowed it, I took my dried fish, slapped a generous butter on it, and ate it to wash out the after-taste of the fermented shark. It was vile the first time. It was a bit better the second time. And thankfully one of my companion took the third piece. What an experience it was. I thought the smelly boiled silkworm from the streets of Insadong in Seoul was the worst food I had eaten*, but this fermented shark is up there on the top of the list. Oh man, my spirit plunged after this. The smoked trout has a strong, sharp aftertaste too. I could barely taste the cured lamb with the flatbread. The best tasting thing was my lamb soup and the rye bread topped with mashed fish. 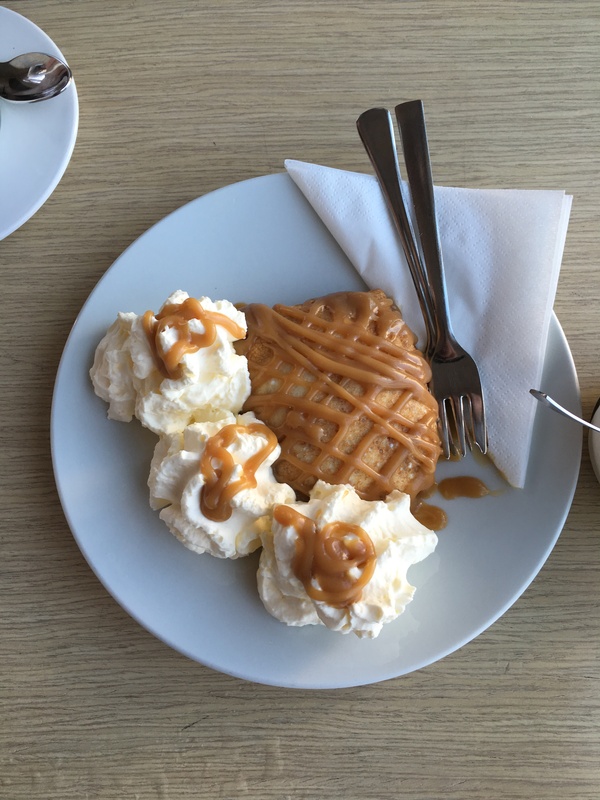 Luckily the pancake with skyr (a thick Icelandic yogurt, thicker than Greek yogurt consistency) topped with caramel was delicious. I ended my meal on a high note, thankfully. My other meals in Reykjavik were delicious. Some seem expensive but it is actually value for money. Some I spent less, but it was not worth it. I found out that “fine dining” restaurants are actually value for money. My best meal was at Apotek. I had the 7-course dinner and it set me back about SGD90 (I would have to pay three times as much in Singapore for a similar meal). I went to lobster restaurant in the old harbor, where I spent SGD62 plus for two appetizers (both with lobster), and compared to the set menu at Apotek this is not value for money in my view. 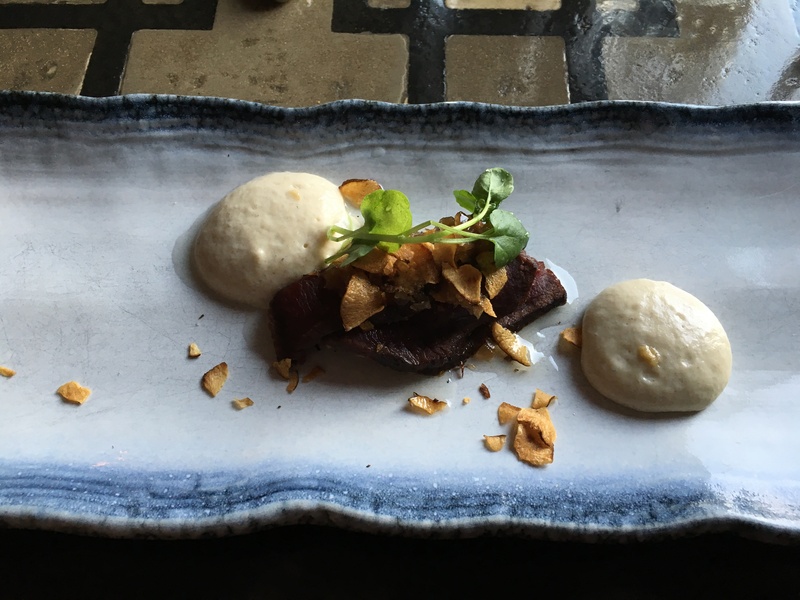 During the dinner at Apotek, I tried many unique Icelandic ingredients: minke whale, puffin, free range icelandic lamb, skyr, and sjávargras (a type of grass with a very herby flavor and after-taste). 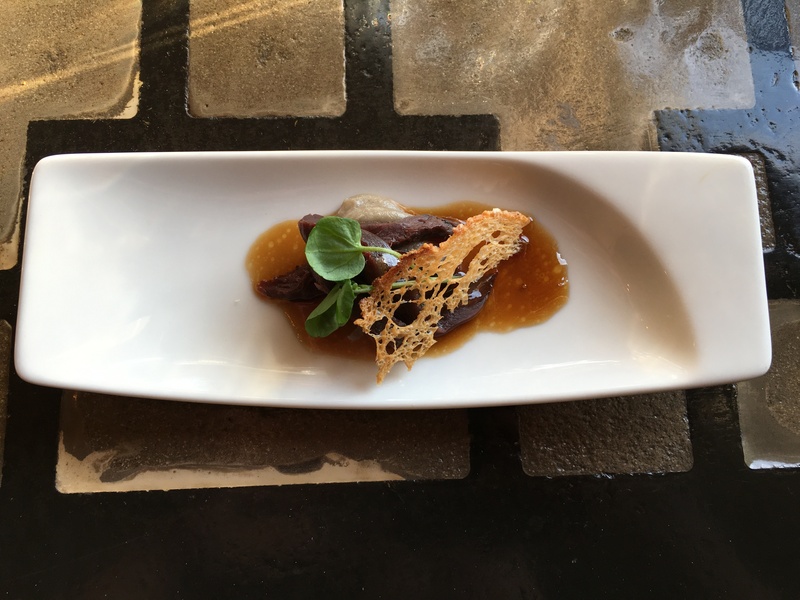 The presentation is creative and french influenced; the mix of flavors too. I highly recommend Apotek. 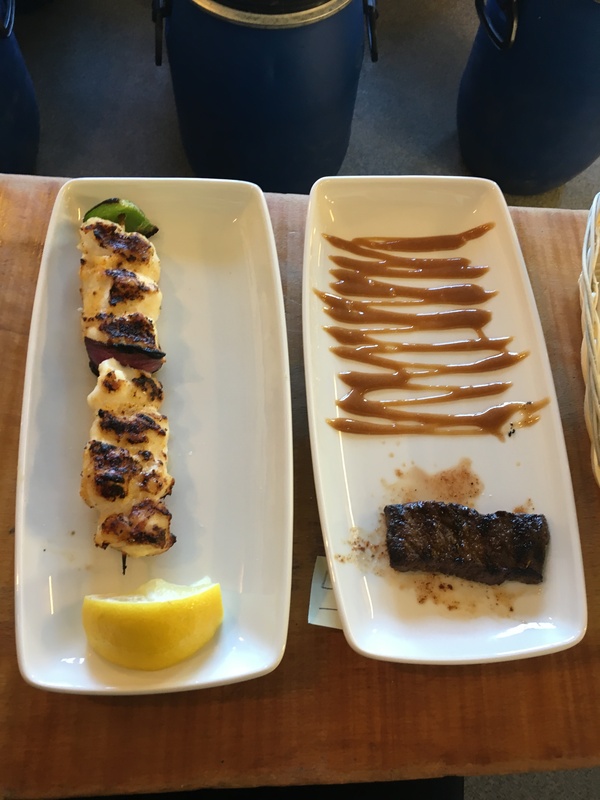 Bite Size Puffin Meat at Apotek – Delish! If restaurant setting is not your thing, I say buying ingredients in the supermarket is a good choice. A lamb sub from Hlollabatar set me back SGD18 and it is street food. The lamb sub was delicious and I highly recommend it. The fattiness of the lamb was cut with the sweetness of the sauce. They are located in the square where Hafnarstrᴂti and Aðalstrᴂti meet. I drool writing about it. An overnight trip to the South Coast of Iceland also gave me the chance to try cured horse meat. It was served as lunch for the tourist guides near the Svínafellsjökull glacier. We went there to gear up for the glacier walk. They would not sell it to me, so I tried a couple bites from Bill, our guide from Extreme Iceland. It was a tasty dish, but was yesterday’s leftover and therefore, not sold to the tourists. I tried to order it and got a NO as the answer. If fresh grilled seafood and lobster soup are your vices, I would head to Sægreifinn (aka The Seabaron) in the Old Harbor. I had the grilled minke whale and blueling grilled fish (my first time trying it) and the lobster soup. Minke whale is really similar to beef. (Note: prior to ordering I made sure minke whale is not an endangered species of whale). 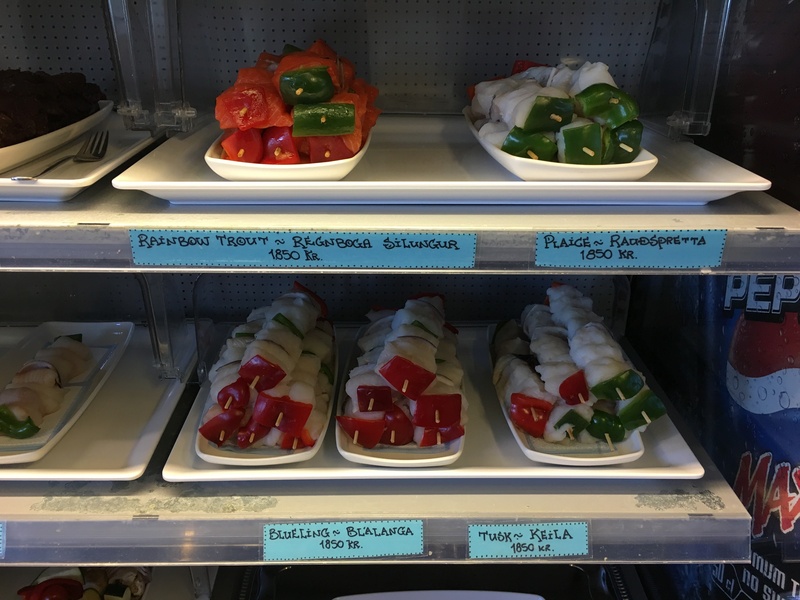 They offer an array of fish kebabs for you to select and try. This place is reasonable and is popular with both tourists and locals. In my short jaunt to Iceland (about five days), I am quite satisfied with what I tried. It did not make me an expert in Icelandic food, but I say I ate very delicious meat and had wonderful experiences. Even the fermented shark is a good story to tell. *Author’s note on food qualifications: I am always game to try new things and am not adverse to unusual food. I have eaten fried grasshopper and fried scorpions in Chengdu, China. As a chinese descent, we regularly eat haisom (slimy sea cucumber), snake meat and blood soup, and slimy things like web of geese. I have also eaten a couple types of ants in Colombia and Brazil, and the stinky tofu in Taiwan. All were delicious and I would eat these again.